Welcome to a Better Alternative in Smart Storage. 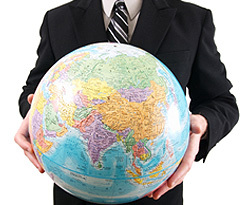 Global competition has changed the way business is done today. Choices are now abundant in every product category, including racking and storage systems. ISS is an innovative Australian owned business built on over fifty years of experience in warehousing and materials handling. We know storage inside out and deliver smart solutions that will improve your storage capacity, efficiency and the bottom line. As a professional Manager, you know that there are few physical differences between most racking systems these days. They all need to comply with Australian Standards and can be made to almost any size. However, not every product on the market has ISO9001 international quality certification. ISS ProRack OTL System does. It is a preferred choice in warehouse storage across all industries. It combines German quality design, Australian technology and low manufacturing cost. Importantly, our products are not only priced to save our Customers direct cost. They also help you manage your business with finance options that support your cash flow. But the real difference is our willingness to step into your shoes, no matter what your requirement, and give you the best advice. As cliché as it sounds, for us it’s all about customer service and providing the best value. ISS ProRack is part of the Independent Storage Systems (Vic) Pty Ltd which was established in 1993 and now operates under the trading names: ISS ProRack, ISS ProFork and ISS ProGuide. ISS ProRack is our pallet racking and storage systems business, and ISS ProFork specialises in forklift rental and service, while ISS ProGuide provides electronic wire guidance installation services. Together, these three divisions ensure that ISS is a true one-stop-shop for your warehousing requirements. Independent Storage Systems is a privately owned Australian company providing clients with unique warehouse solutions. Our focus is on providing professional advice to ensure the most efficient outcome is achieved for your business strategy. We use a consultative process that guarantees that the design and layout optimises current and growth needs, safety, traffic flow and the ultimate efficiency of your operations. ISS ProRack customers include: Department of Defence, Pacific Brands, Iplex Pipelines, Saint Gobain, Hallmark Cards and Ford Motor Company. Providing world-class products and advice is only part of our commitment to your success. The real difference is our commitment to Project Management based on our Values: Safety First, Sense of Urgency, No Disruption to our Client’s Business and Transparent Client Communication. Our Values ensure that your seamless warehouse solution is precisely designed, manufactured, delivered in full and on time and to the highest levels of safety.